In our last blog entry, we discussed three signs that might mean it is time for you to invest in a new heater. Today, we will go over two more symptoms of an old, ineffective, or broken furnace that might mean you need a new unit. 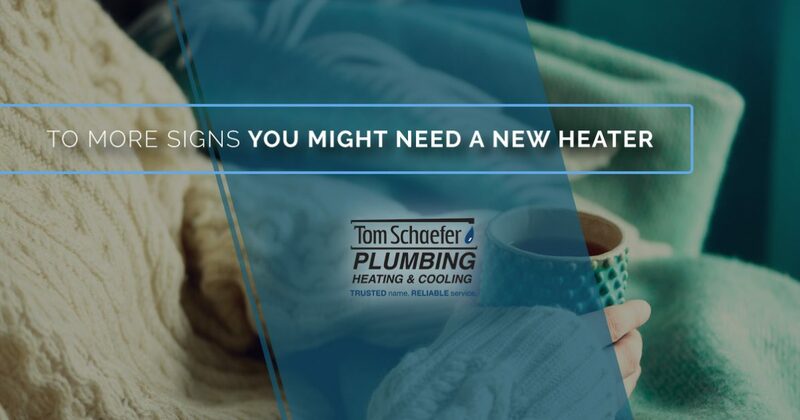 If you have noticed these problems, or any of the problems mentioned in the last blog entry, please give us a call at Tom Schaefer Plumbing, Heating & Cooling. 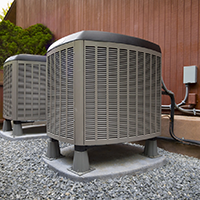 Our staff of expert HVAC technicians will perform a full inspection on your heating system in order to determine what is wrong, and how to fix or replace it. While it is hard to give a perfect definition of how often a heater “should” need to be repaired, a good metric to start with is that your heater should not need anything apart from a yearly inspection and tune-up. During one of these tune-ups, a skilled HVAC expert should be able to perform maintenance that will keep your heater running efficiently for another year. Those tune-ups will also provide a good opportunity for the tech to keep an eye on any problems they think may be coming up in the future. If you have had to call a heating repair expert to look at your heater even after one of these tune-ups was performed, you should begin saving for a new heater. 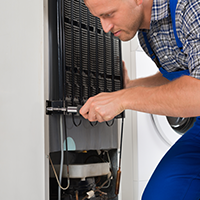 While your furnace might have a couple more years of life in it, you need to weigh the cost of several repair calls a year against the cost of a new unit. Think about it this way: if you spend $100 per service call more than once in a year, and your heater is 20 years old, it makes more sense to pay for a new furnace that costs $1000. While it is a bigger hit now, a new furnace can actually pay for itself in just a few years, thanks to reduced heating bills and reduced maintenance and repair costs. As human beings, we’re surprisingly adaptable. What we may have thought was too cold can quickly become normal or even comfortable. While it is never a bad idea to set your thermostat a few degrees lower than what you consider to be the most comfortable temperature, after a while, you may not even notice just how cold your home has become. It might take a friend, family member, or neighbor who stops by for a visit before you notice that it is colder than it should be. If turning up the thermostat doesn’t seem to make much of a difference, you should give us a call at Tom Schaefer Plumbing, Heating & Cooling. We can inspect your system and tell you whether or not you should think about buying a new furnace. 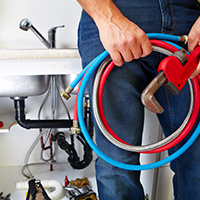 For decades, we have provided Eastlake and the surrounding area with the best plumbing and HVAC service and repair. Contact us to set up an appointment for an HVAC inspection or an annual heater tune-up!